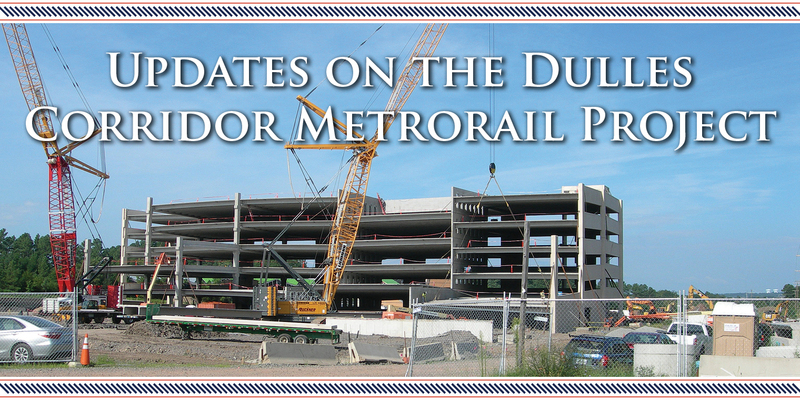 The second phase of the Dulles Corridor Metrorail Project (DCMP) closed out a busy year in 2017, and hit several milestones along the way. 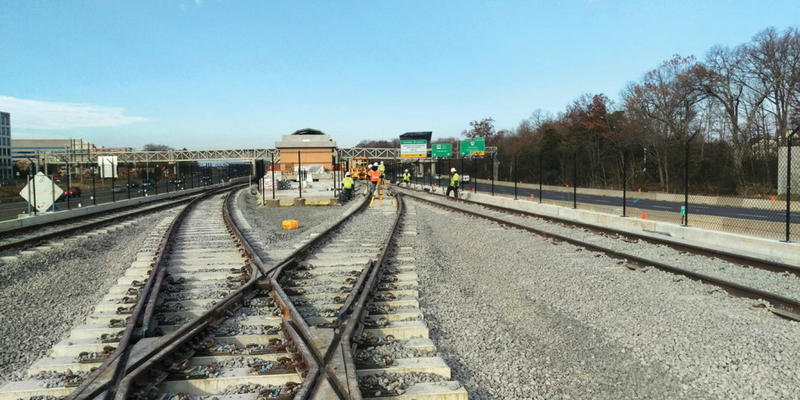 In January 2017, all 251 column supports for the Dulles Airport Metrorail Station aerial guideway were completed and Capital Rail Constructors (CRC) crews began installing both ballasted and direct fixated track. April 2017 brought with it the arrival of pedestrian bridge spans on site. Track work continued and the first of the prefabricated traction power substation buildings was installed. Construction of Phase 2 officially reached 56 percent. Structural steel started going up for maintenance facilities and other structures at the Rail Yard in May 2017. These facilities will be critical to maintaining clean, durable Metrorail trains for many years to come. Throughout the summer, crews were busy roughing in the mechanical, electrical and plumbing systems at four stations. By August 2017, CRC crews began putting in place pedestrian bridges. These bridges will provide access for Metrorail passengers to reach the Silver Line stations. The first pedestrian bridge was set on the south side of Innovation Center Metrorail Station. 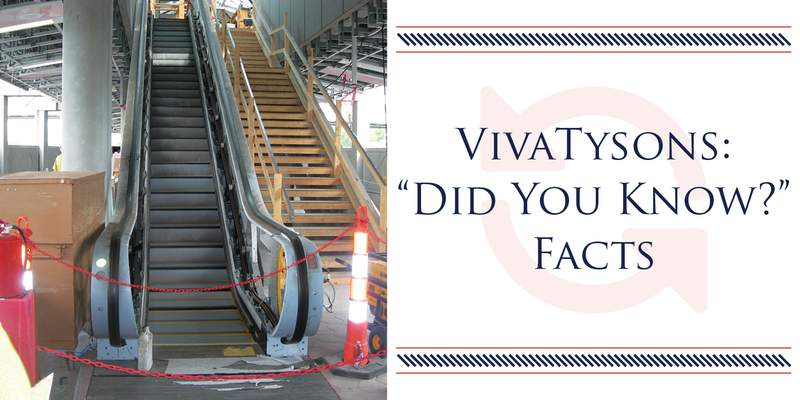 As autumn rolled around, construction of the aerial guideway structure at Dulles Airport Metrorail Station was completed. In the spirit of the holiday season, DCMP and CRC partnered to provide 181 full Thanksgiving meals to families in Fairfax and Loudoun counties as part of the Loudoun Hunger Relief and Reston Cornerstones 2017 Thanksgiving Donation Drive in November. By December’s end, Phase 2 of the Silver Line had achieved over 5 million labor hours. That translated into 66 percent construction completion. Pictured at top: Innovation crossover switch is being set to elevation. Photo courtesy of John Kearney.